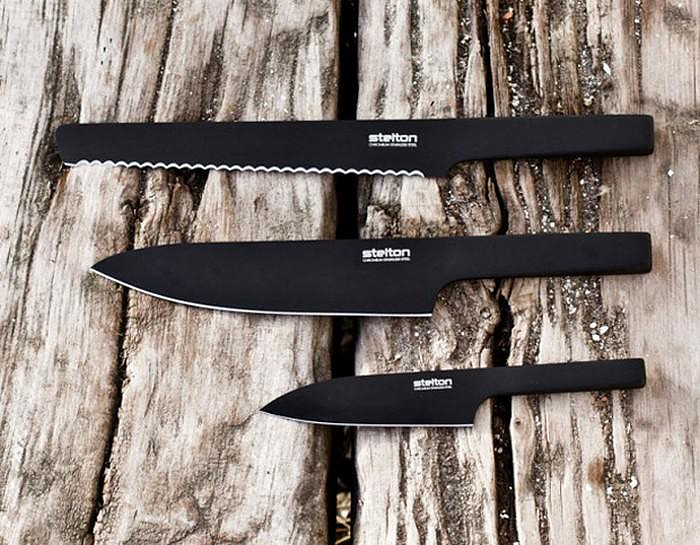 HomeBlogHome DecorStelton Pure Black knives by HolmbackNordentoft. 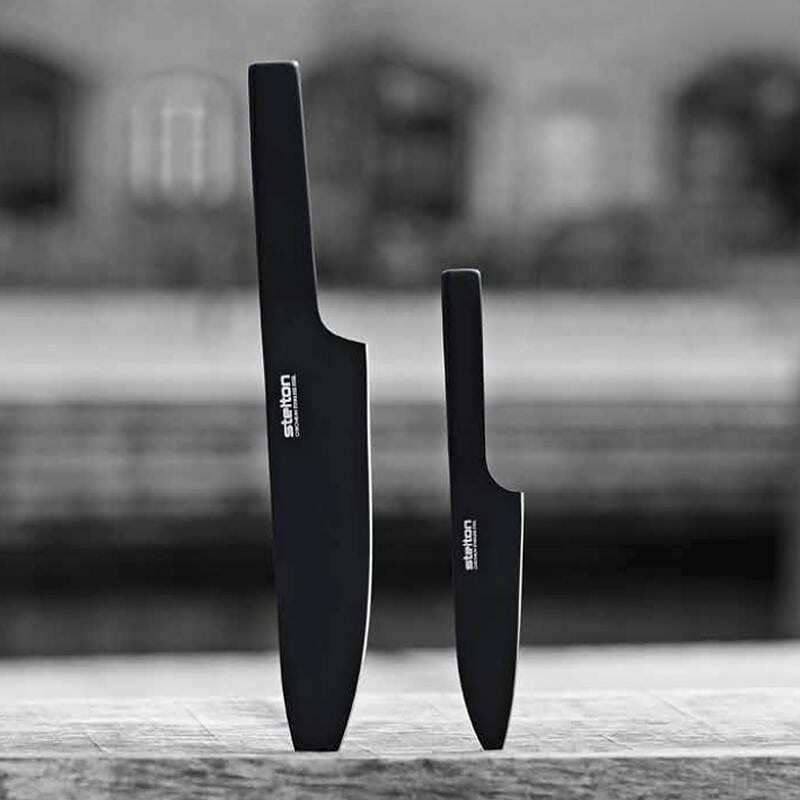 The Stelton Pure Black knife series features stunning utterly minimalist design highlighted by the solid black color choice, a typical example of Scandinavian design. They were designed by the Danish design duo HolmbäckNordentoft consisting of Sebastian Holmbäck and Ulrik Nordentoft. 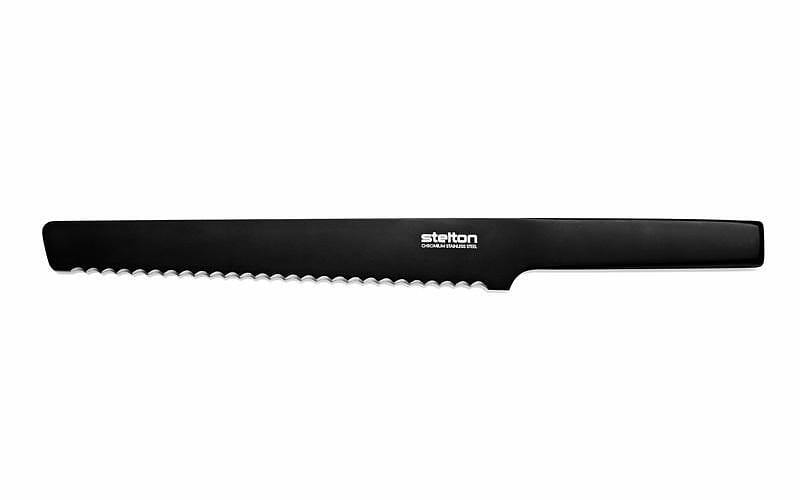 Stleton Pure Black knives are forged are forged from a single piece of metal, enabling their handles to meld seamlessly into their blades, while he special matte black coating makes them look unique. 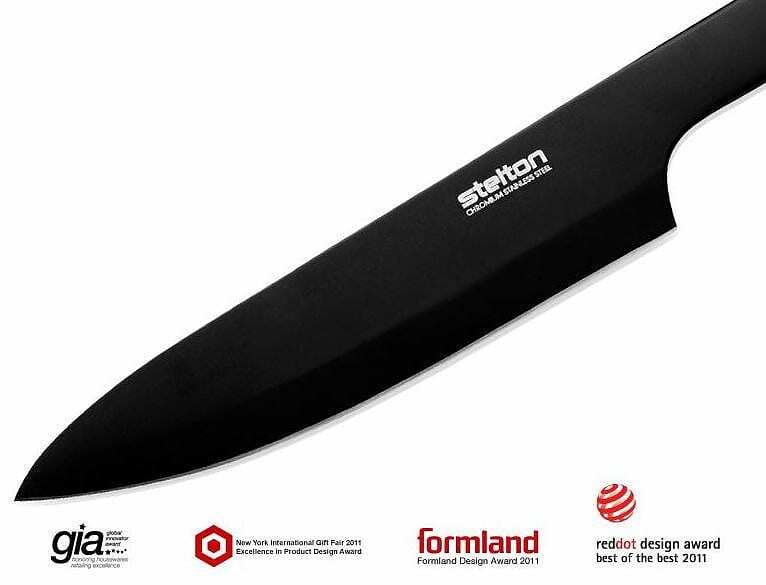 The Stelton Pure Black knives have been honored with the prestigious “red dot design award” and the important “Formland Prize” one of the most treasured distinctions in Denmark and is only given to products of Scandinavian producers. 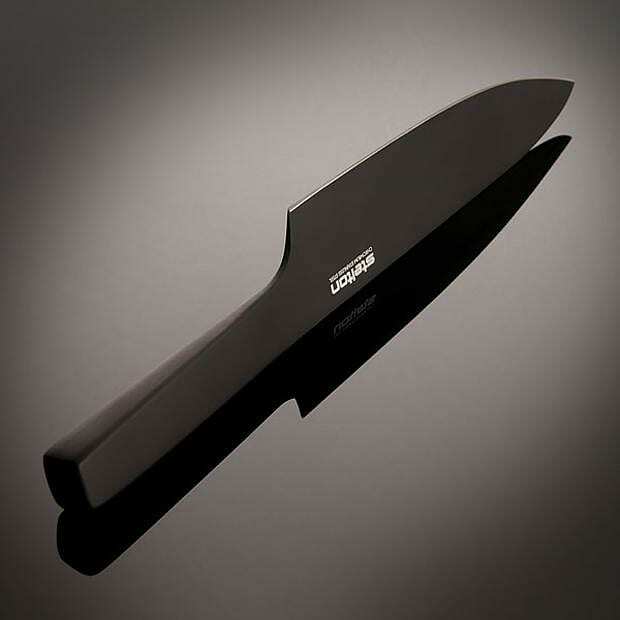 The Pure Black knives are made out of one single piece of chrome nickel stainless steel. This makes the crossing from knife to blade fluent. 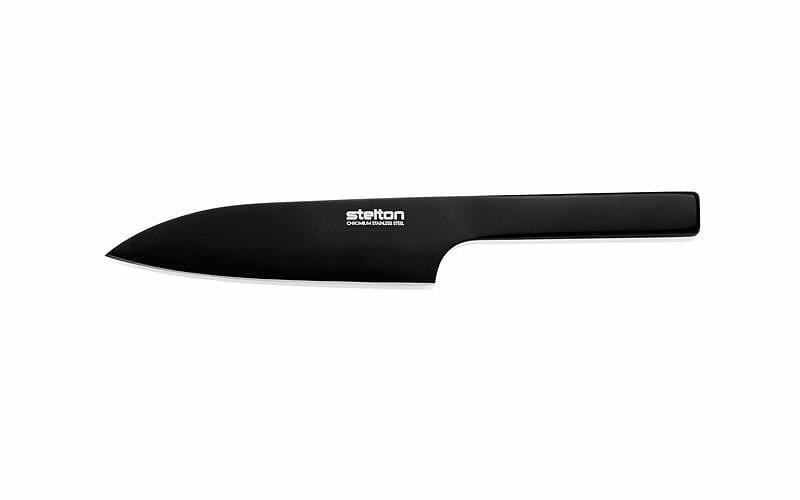 We particularly like that streamlined form which makes them appear really solid, since you can barely tell apart the knife from its handle. 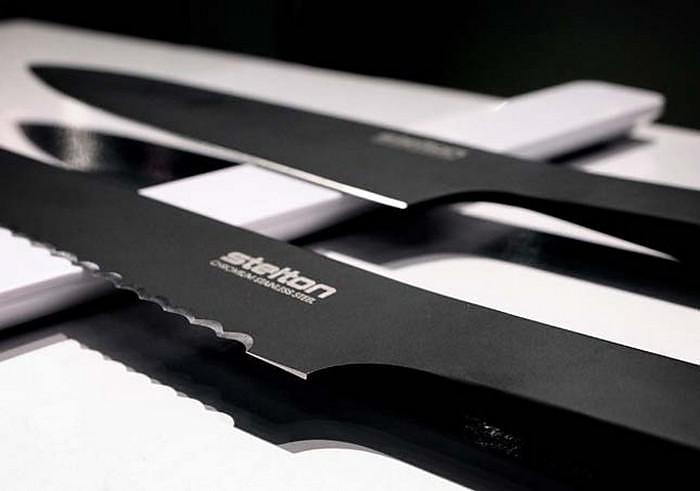 This simple design without edges or gaps and the special surface treatment make the knives specially hygienic and easy cleanable. 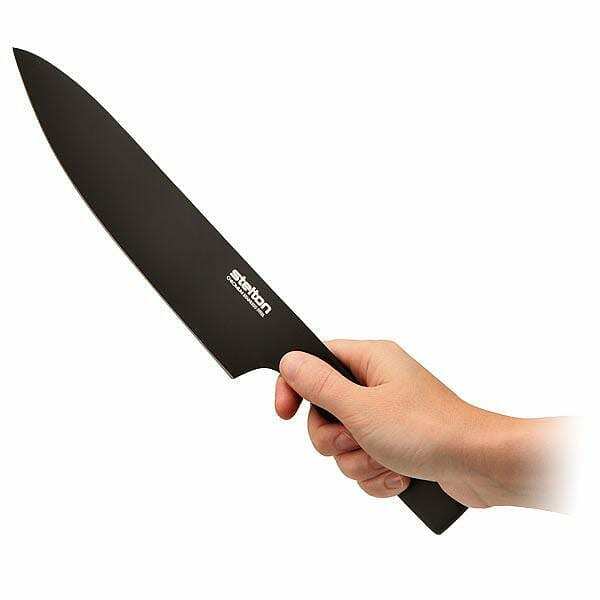 Moreover the matte black coating of the knives makes enhances the grip and improves ergonomics by assuring a better hold of the handle. 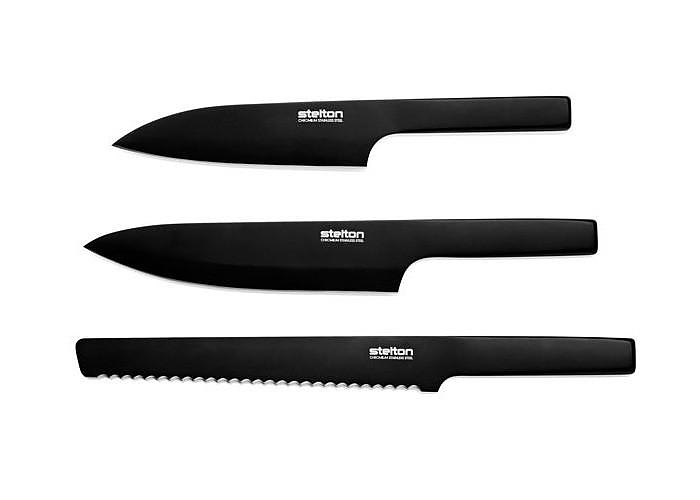 Stelton Pure Black knives are available in three different version, a small cooking knife measuring 23.7cm, a large cooking knife measuring 34.3cm and a serated bread knife. 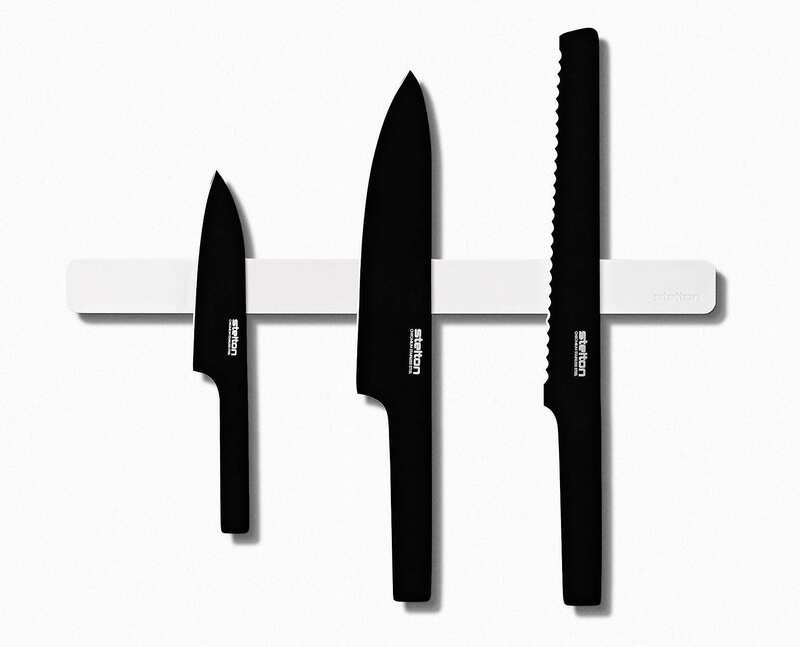 For a flawless presentation you can also buy the Stelton Pure White Magnetic Strip, the ideal knife stand for Pure Black knives. 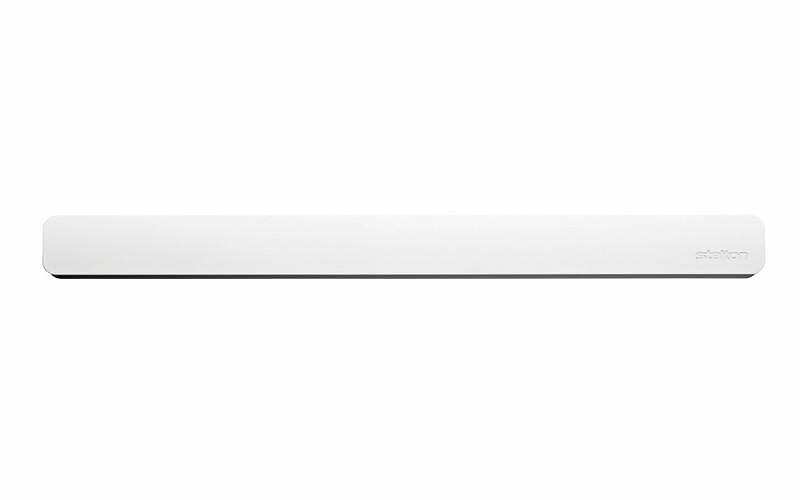 The slim design of the Pure White Magnetic Strip fits in every kitchen and offers space to the knives and other items. 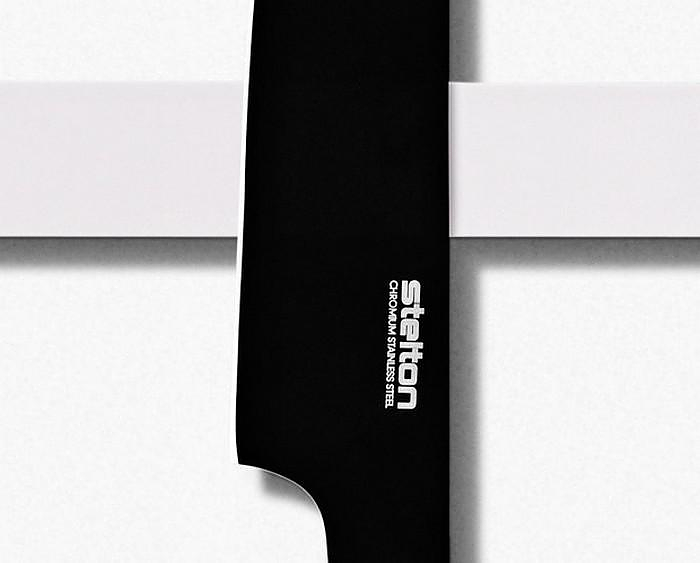 The smooth, white surface makes a contrast to the Stelton Pure Black knives and accentuates their sculptural form. 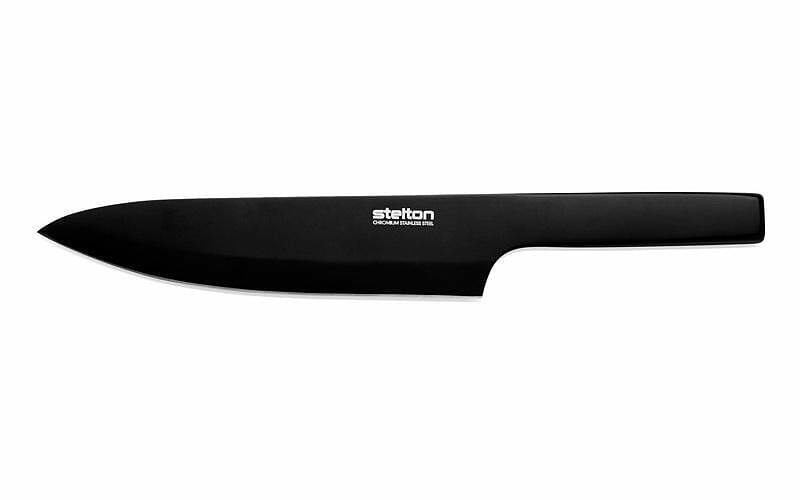 More info at Stelton. 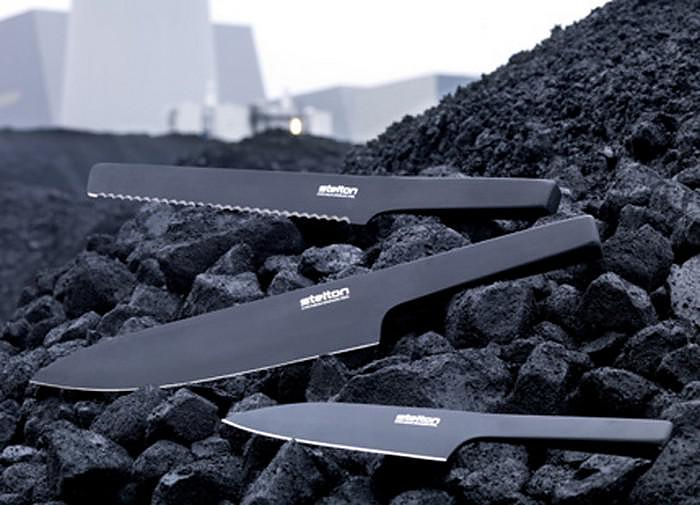 Mepra Ergonomica Cutlery by Angelo Mangiarotti.